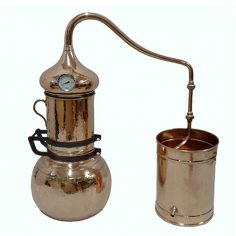 Copper Essential Oil Distiller with Hinged Column 10 Gallon 40 Liter for easy processing. 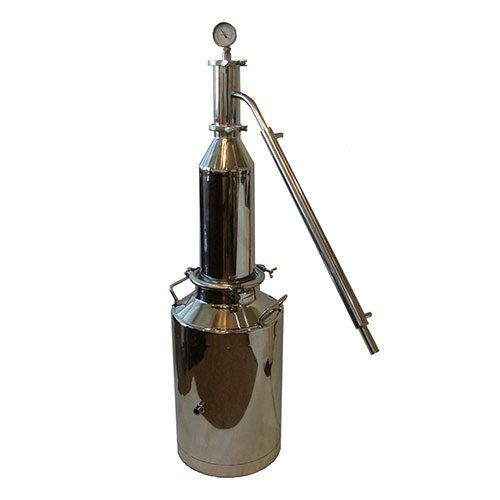 Due to the way we design this beautifully handcrafted copper essential oil distiller, it’s ideal for the steam extraction process. To start, put water in the boiler below and plant material in the extended column. 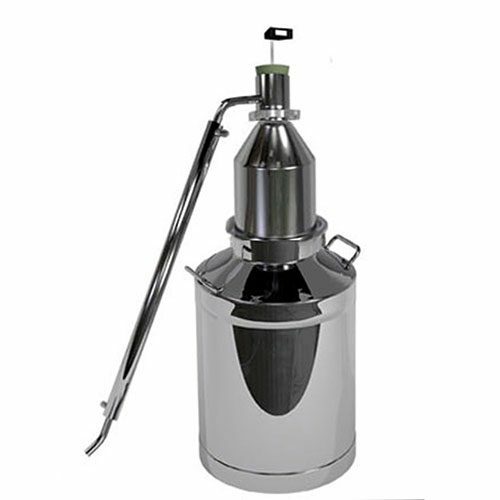 Next, you heat the water to produce steam vapor that travels up through the plant material extracting essential oils. After that, the condenser condenses the vapor back into liquid hydrosol. The hydrosol is an oil water mixture. A copper perforated plate in the bottom of the extended column holds the plant material above the water. The hinged extended column allows for easily dumping the spent plant material. The extended column can be taken out and the onion head place directly on top of the boiler to create the traditional copper alembic still. 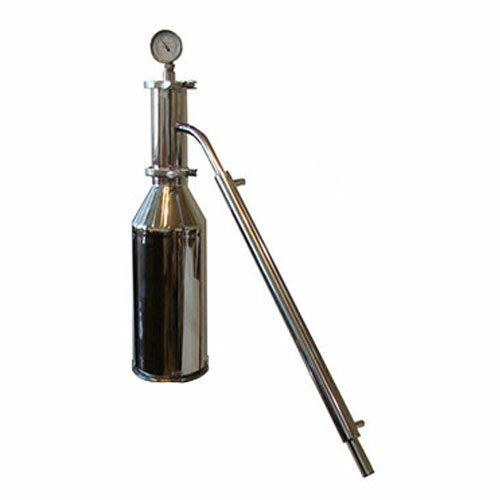 At Mile Hi Distilling, we are passionate about the distilling equipment and parts that we supply. We take the extra time and effort to manufacture the best quality distillers, so that you can focus on creating the best spirits.